Congress has taken the first step towards repealing the Affordable Care Act, commonly known as Obamacare. 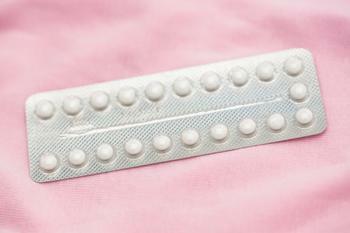 Among other things, the repeal would leave consumers without guaranteed access to contraception. Nowhere is this less popular than in President-elect Trump's hometown, New York City, leading New York Attorney General Eric T. Schneiderman to introduce legislation that would guarantee continued contraception for both female and male New Yorkers. The CCCA would codify into New York law the current ACA requirement that contraception be made available to New Yorkers cost-free, while also expanding on the ACA in several important ways to protect and enhance New Yorkers’ access to contraception. The expected repeal of Obamacare is expected to be a major setback for contraception rights nationwide. Prior to enactment of Obamacare, 26 states required private health plans to cover all or part of the cost of contraception. Whether those states will follow New York's lead and consider reinstating those protections isn't yet clear. Since 2012, as part of the ACA, all new private plans have been required to cover, without cost-sharing, the full range of contraceptives and services approved by the Food and Drug Administration (FDA) as prescribed for women. The ACA created, for the first time, a minimum set of benefits for most health plans regulated by the federal government and states, including contraceptive coverage for women with no cost-sharing. The requirement has been challenged, however, leading to the Supreme Court ruling on the religious rights of employers that object to contraception. Eliminating federal protections for contraception would resolve the legal controversy, at least for now. It's estimated that about half of all pregnancies in the United States are unplanned. In general, "accidental" pregnancies carry a higher risk of poor outcomes.